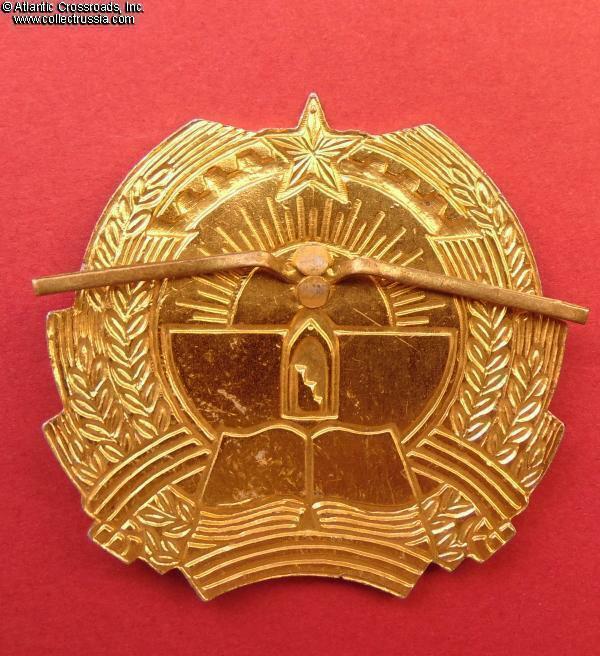 Communist Afghanistan Army officer hat badge for a full dress visor hat, 1980-87. In aluminum and paint, the larger version measuring 58.9 mm in height x 59.5 mm in width. 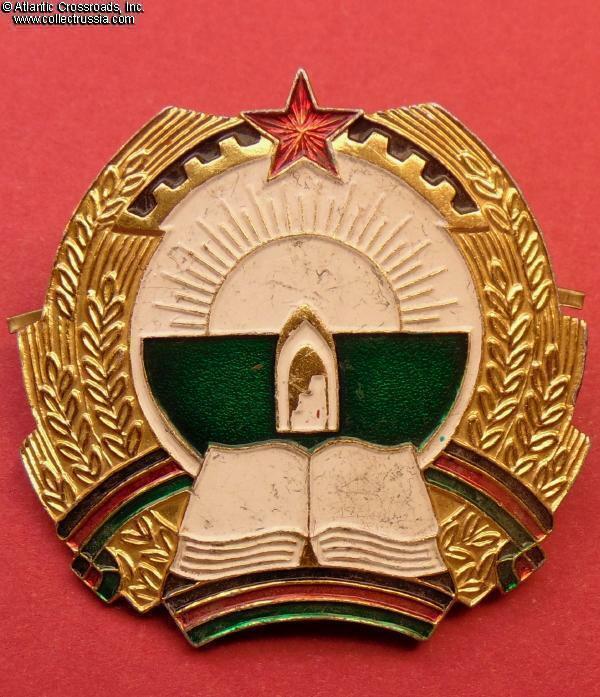 Features the early version of the state emblem of the Democratic Republic of Afghanistan, with the book. 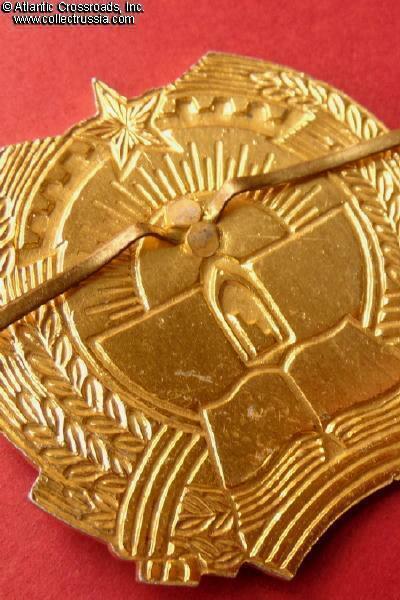 The emblem was changed in 1987. In very good to excellent condition. The paint well- preserved overall showing only minor scuffs and wear, mostly to the white paint. There are no chips or other significant damage. The anodized finish is perfectly preserved and bright, completely free of the usual tarnish. The attachment prongs are intact and fully functional. 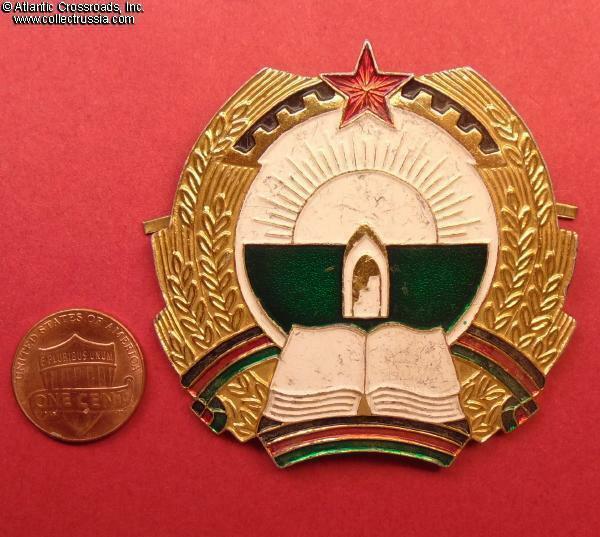 Afghan communist-era insignia like this have become increasingly difficult to find in the recent years, especially in anything like collectible condition. Please note, penny in our photo is for size reference.